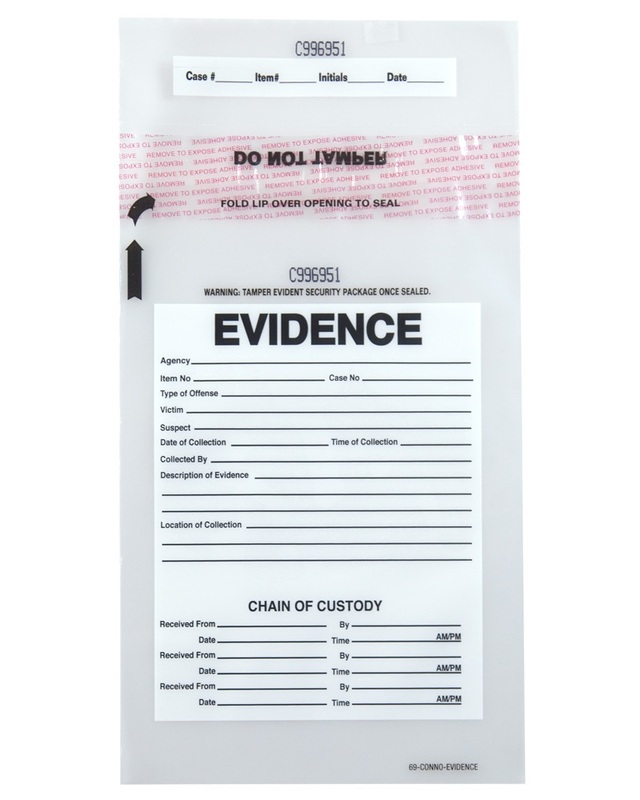 W x L: 6.5" x 9"
Plastic Evidence Bags 6.5 x 9 Secur-Pak are self-sealing with permanent adhesive plastic evidence bags. These evidence bags also include a sequential number system and a tear off receipt. Secur-Pak Evidence Bags 6.5 x 9 Permanent Adhesive 2.5 Mil plastic evidence bags feature convenient write-on blocks for easy identification.